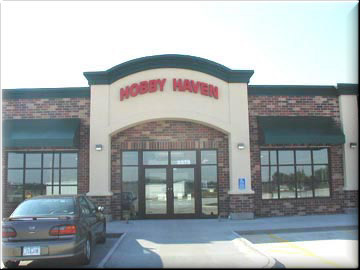 Hobby Haven has been serving Iowa hobbyists needs since 1973. We offer over 8,800 square feet of nothing but the best in hobbies. Hobby Haven is pleased to offer model trains, radio controlled cars, radio controlled planes, rocket kits, slot cars, model kits, kites, hobbyist's supplies, decals, paints, tools, and everything else to make your leisure time more enjoyable. We SHIP 5 days a week all over the country. Please send us an e-mail or call for shipping rates. Our friendly and knowledgeable staff are ready to assist you with your needs. Hobby Haven takes great pride in our personalized customer service. We are all hobbyist's. 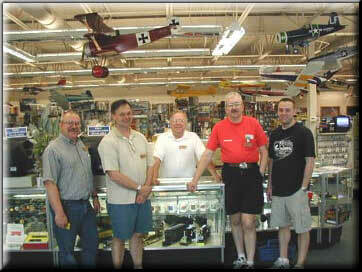 With over 150 years of Hobby expertise our employees make Hobby Haven a truly unique Hobby experience Give us a try. We know that you will be satisfied!